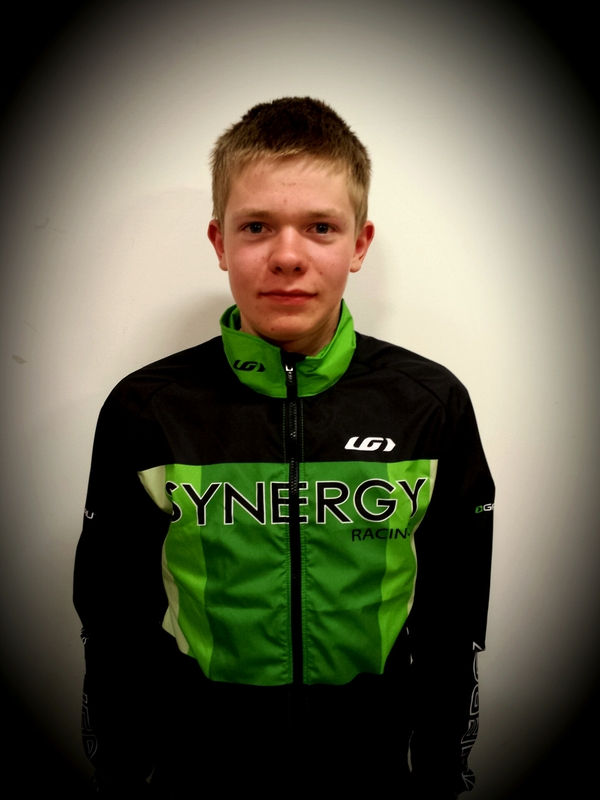 | Synergy Racing Cycle Club, is a Road, Cyclocross, Track and Mountain Bike team focused on youth development and racing. Based in Calgary, AB, Canada. In early June, I brought my bike into MEC Calgary to be tuned under their Premium Service which includes just about everything you’d want done to your bike and only in an 8 to 12-hour turn-around. As anyone knows, at the height of the cycling season, it usually takes weeks to get your bike back from servicing. This is MEC’s way of beating the rush. You pay, you play! A request for the “Primo” gets you noticed. It’s big bucks (roughly $300) so once you’re at the head of the queue, you’ll get the attention of a senior mechanic. In fact, he took me into the back service room, put my bike on a stand and privately reviewed the service and my additional needs. I had the same service on the same bike (2013 Cannondale SuperSix, Ultegra-equipped) last year when it didn’t need a lot of attention but this year I brought in a new bar to be installed and bar tape. I was curious to see how he’d mount the brakes on the new bar and wrap the tape. Both can be fairly personal but I trusted he’d do a good job. Also, I brought a new chain to be installed such that I could start fresh. My more serious concern was the increasingly poor-shifting and a developing BB creak. I got a call the next morning to confirm a few things. My new bar was only 40 cm as opposed to the 44 cm on the bike originally. The freehub body on my PowerTap rear wheel was gouged and this was likely affecting the shifting so I said I’d bring in another wheel to complete the work. I did so and the next day, assuming the work was done, I went to collect my bike. The Premium Service includes new cables and housing (always nice), wheel truing (not required on these nearly-new Dura Ace wheels), re-installation and tuning of the drivetrain (again, I had a new chain). They also clean and detail your entire bike. When my bike was returned, it did look brand new. They’d done all the promised work and in addition, they’d replaced a tube with a slow leak, which I knew about. I rode it home and it was as the saying goes, silky smooth and the bars looked great! On closer inspection, however, I did notice some small missed details: The newly installed tube’s valve stem wasn’t quite square. That’s sometimes hard to do with a long stem. Secondly, the seat post and clamp were both dirty. The clamp still had old residue on it suggesting they hadn’t fully removed all parts and the post was a bit greasy suggesting they hadn’t wiped it down after the final clamping on the stand. That said, I’ve seen similar failings at other bike shops to be sure. In all, I was very pleased with MEC’s Premium Service. Despite the fast mid-summer turn-around, I’m still not sure I’d pay $300 for it unless If I had an older bike with lesser parts that I’d ridden hard for a few years. 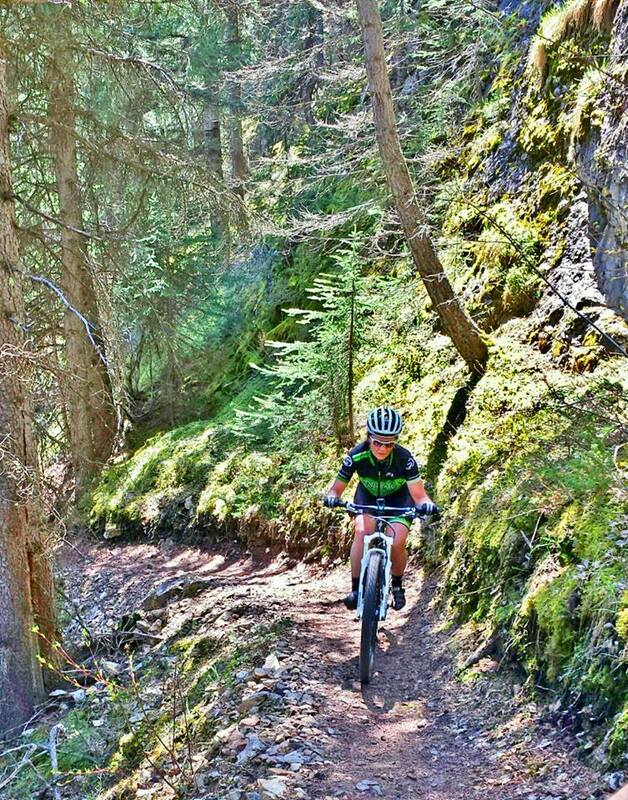 A lot of people don’t put much stock in MEC as a reputable bike shop but I do think that impression is changing. My experience is proof positive that they do solid work and as anyone who has shopped there for a few years knows, their bike square footage has increased dramatically. They’re a major player now and they have a service shop to back that up. Registration is NOW OPEN!!! Use the following link to sign up! Guaranteed to be a course favourite in the Alberta CX circuit! The PUMPHOUSE CROSS is just around the corner! If you haven’t heard about this race yet you must be living under a rock or to focused on where you can shave precious ounces off your bike to make you faster….Regardless we are excited to see a lot of great local support for the event and excitement from racers about what they can expect for this upcoming race. If you’re unfamiliar with this Park in Calgary, you are in for a treat…..a delight to the bicycle senses you might say. This unique and tucked away venue known as Pumphouse Park (home to the historic Pumphouse Theatre) is an underutilized park within the City of Calgary that has cyclocross embedded into the landscape with short punchy climbs, off cambered slopes, natural berms, sand pits, a variety of surface mediums and the allowance for a mix of course features guaranteed to push and challenge the technical bike handling of racers in all categories. Without spilling too much of the beans on what to expect the day of, much like any race the course is what really draws the crowd and builds the hype. On that note, if you’re a rider prone to washing out on corners, known for poor bike handling skills, don’t like running, or are not quick out of the corners……..Well…. you will suffer and may find yourself looking like a “Course Tape Mummy”. To that regard I present you with the course design for the 2014 PUMPHOUSE CROSS (subject to change). 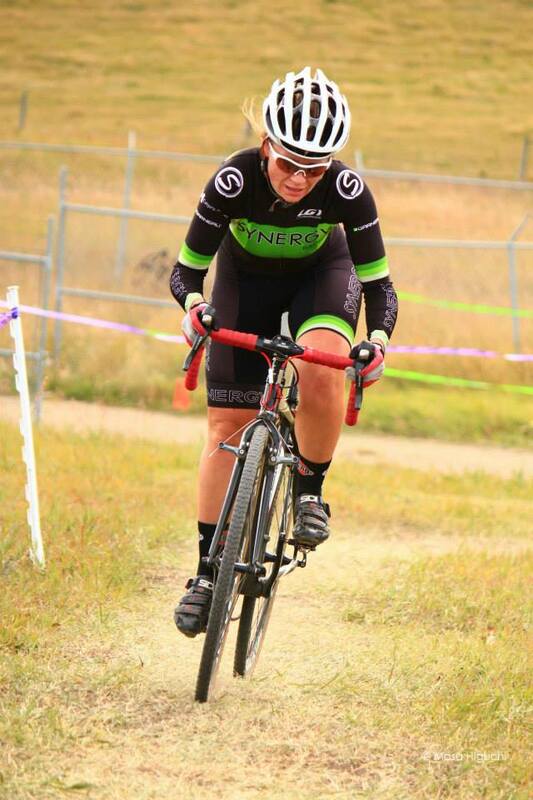 Known for her Silky Cyclocross and Mountain Bike skills Shawna Donaldson, is the clubs most experienced women racer and the results show it. Standing on the Podium seems to be a regular weekend occurrence for this ripper. With a strong focus on Mountain and Cross, complimented by a carefree and fun attitude, Shawna definitely knows how to balance the pain for pleasure factor; which will prove to pay off as the season progresses and her competitors start to burn out/fade. Keep on the lookout for the next Synergy Racing Rider Profile. If you ever want to race at a BIG SHOW with an atmosphere like no other, The Sea Otter Classic in Monterey, California is the place to do it. Breaking out the New Synergy Kit for the first time on foreign soil for 2014 definitely turned some heads with the locals, as i wasn’t a regular face in their usual crowd. The announcers also made it a point at th e start line to call out the only Canadian in the group with a cheeky comment about how he didn’t like what we did to bacon. I wasn’t quite sure what that meant so I quickly chirped back with a “Ohhhh…… You love us”, which seemed to get a few smiles. After a few jokes and chuckles things got real as the announcers went quiet, the minute countdown started and the music got louder. The start was lined with spectators. It was time to see if the winter training had paid off. I Got off to a solid start, we all rolled out of the raceway in a solid group. Once on to the double track, a group took off the front and I managed to keep them in sight for a while but eventually lost them pacing myself, trying not to explode. At about the halfway point (approx 20km), I figured I was warm enough and it was time to step in to the hurt locker for a while. After some huffing and puffing up some gravel/sandy climbs I was able to put my descending skills to work and bridged the gap and caught the leaders at around the 30km mark; as we all shot out on to the double track slog back to the finish (approx 8km to go). A group of us TT’d to the final climb where we ended up catching some of the riders in the heat/ age bracket that started before us. In my head I knew this was my attack spot if the legs were there. I dropped it in to a big gear and punched it on the outside right to go around the group on the climb, when one of the riders pulled out infront of me and couldn’t make it and had to hop off. So i went from Turbo to Turtle mode and got caught in a gear that was way too big and ended up watching a gap open up from the group I was with. That’s bicycle racing for you though, expect the unexpected. 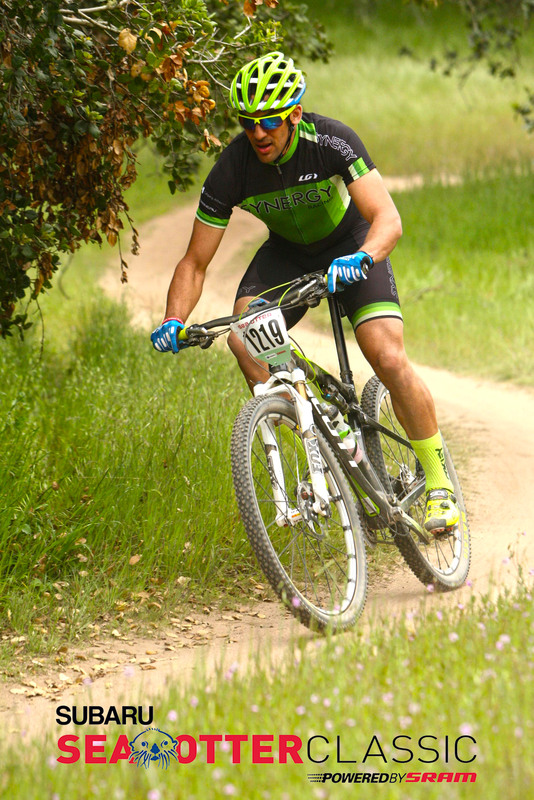 Closely watching the leaders, one rider was fighting to hang on so I made it my personal vendetta to wheel him in. Lone behold, SUCCESS! I had caught him and he was panting like my dog after a long run. I managed to follow his wheel down towards the last leg of the race where there was hundreds of people blasting air horns, ringing cow bells, banging bike parts and cheering their faces off. As we approached the final switchback before the 100m dash to the finish, I heard some spectators amongst the chaos say “take the inside line”. The racer I had wheeled in, took it wide around the switchback so I cut the inside along the course markings and shot out on the straight about two feet ahead of him. As I finished negotiating the turn, I looked back only to see a face of surprise. We made eye contact and I immediately knew IT WAS ON. As we sprinted to the finish the announcers got right in to it along with the crowd. I had timed my attack on point and took a look back to see where he was (as seen in the pic below) and realized I had the sprint and took the 4th place finish. Funny thing about the finish, was that after we crossed the line I chatted with the guy I was sprinting with, and it turned out he was from the heat/age bracket ahead of us so we put it all out on the line for nothing. I suppose it made for some good entertainment at the finish though. In the end I was hoping for a podium, but I took the 4th place with a smile and left quite content with my race result/performance on the day. Beyond the XC race I took it all in, watched the dual slalom finals, some of the crits, the downhill, roamed the grounds and endless product booths, chatte d with a few pros (like Todd Wells, Canadian Geoff Kabush and wild man Brett Tippie).However, the cyclocross races were probably the most entertaining. Free waffles and beer from the Raleigh crew for about 3 hrs straight in the beer garden’s was pretty Rad. However, probably not the best idea before race day. But how can one resist free beer and fresh waffles? As the CX races aren’t UCI sanctioned it definitely brought the fun to a new level. Racers were stopping to chug Texas mickeys, pounding beers while they rode, sharing shots with the commentators from flasks in their jersey, it was quite the scene. That being said, my only regret from this whole trip was not bringing my CX bike (note for next time though). On that note, If you haven’t been down to check out this festival of AWESOME I highly recommend you put it on your race bucket list. Talk about starting the season of HOT, Connor took a clean sweep at the Bikes on Broadway Stage Race in Saskatoon this month winning the Cat 5 Road Race, TT and Crit. Cat 1-4 racers should keep a close eye on this young gunner, as he’ll soon be taking their podium spots. Here are some quick facts about Connor you may not know.